Just in time for the 2015 Utah Pride Festival, SLPS got some new swag in! Society members will be wearing newly designed Pride month t-shirts and giving away new Society logo buttons, both designed by President Muad’Dib. Stop by the booth to get a free button and check out thew swag that you could have! President Muad’Dib shows off new t-shirts. President Barack Obama declared June Pride month. In keeping with the festivities, SLPS has redesigned their logo and banner for Pride month of 2015. The logo is in the style of a ticket, used to get into festivals or in raffles. 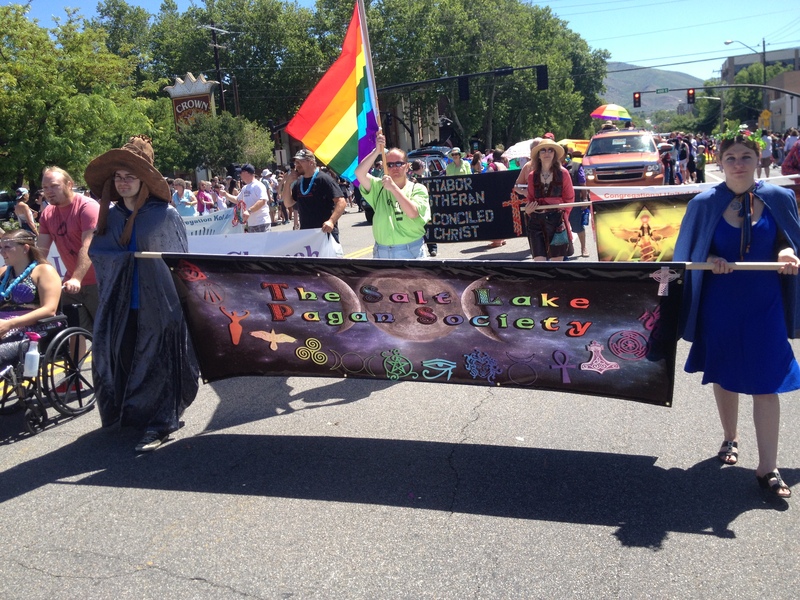 The banner is a water witch saying the theme of the Utah Pride Festival 2015, which is “Pride Is…”. To SLPS, pride is Pagan! Anyone can be LGBT, anyone can be Pagan, and most certainly anyone can be both! Even the Gods can be LGBT! Check them out below. 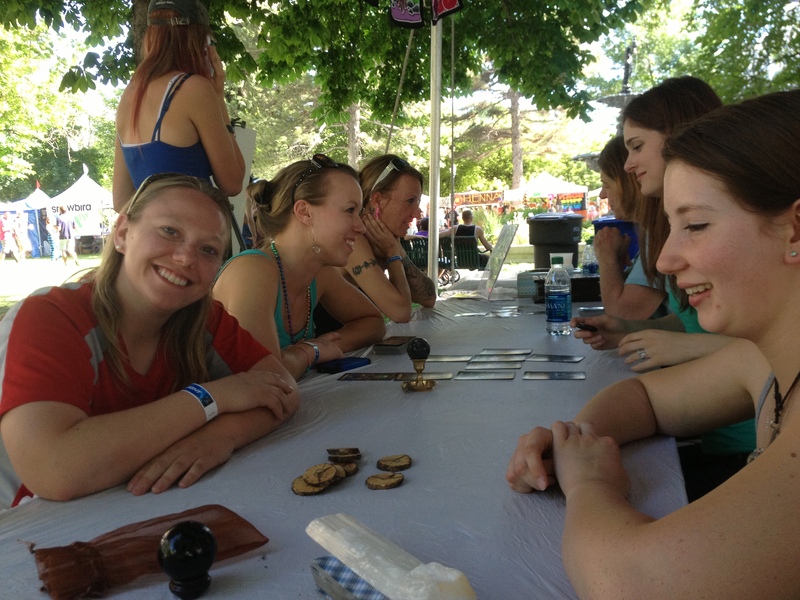 The beginning of June brings the annual Utah Pride Festival, hosted by the Utah Pride Center. 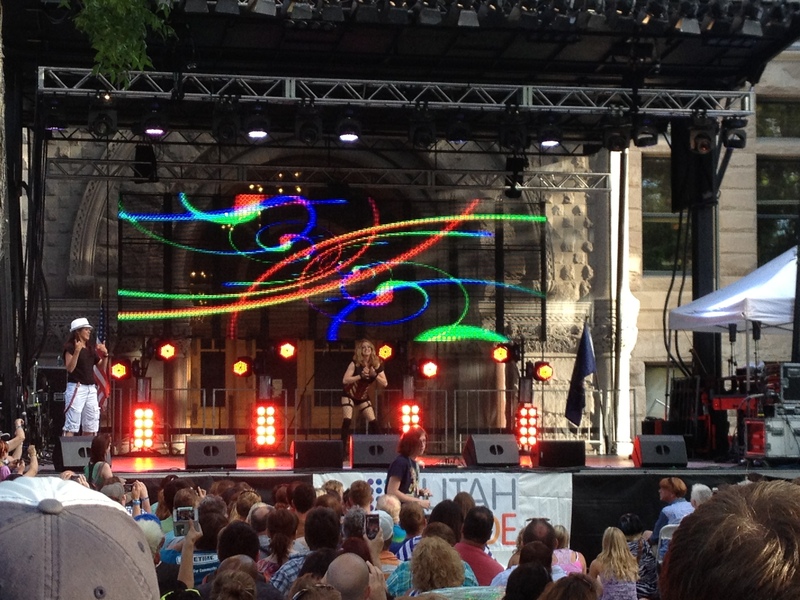 The festival this year, 2014, runs from June 5-8, at Washington Square at the Salt Lake City Building on 400 S and 200 E. SLPS will be participating in the festivities, starting with the Utah Pride Interfaith Coalition’s Interfaith Service on June 5. An interfaith rally at 2pm on June 7 will meet at the First United Methodist Church on 200 S 200 E and join with the Trans and Dyke Marches before going to the festival gates. 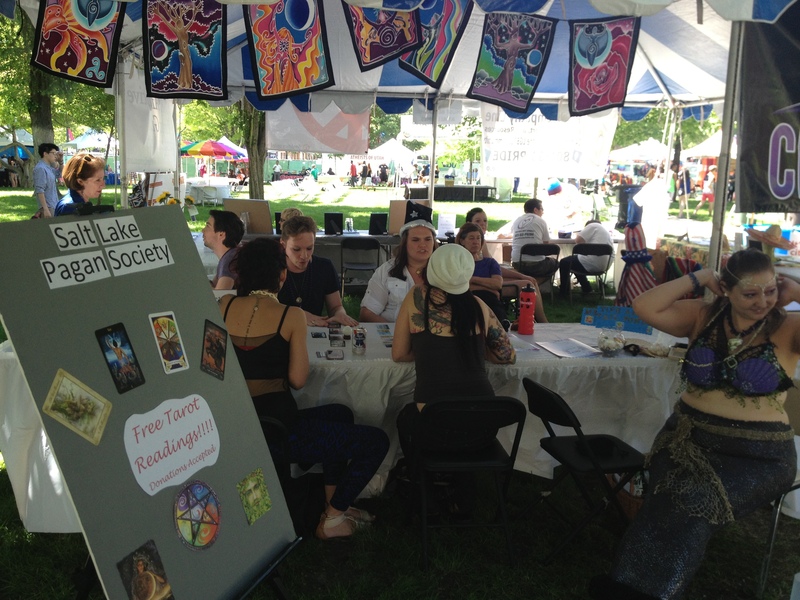 June 7-8, SLPS will be offering $5 tarot readings at the booth inside the festival. 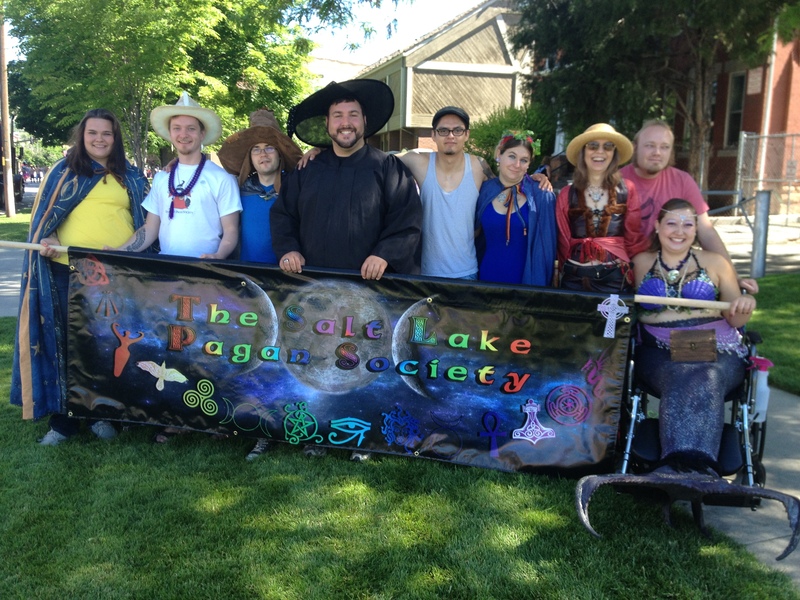 And Sunday, June 8 SLPS will be marching in the Parade at 9am. 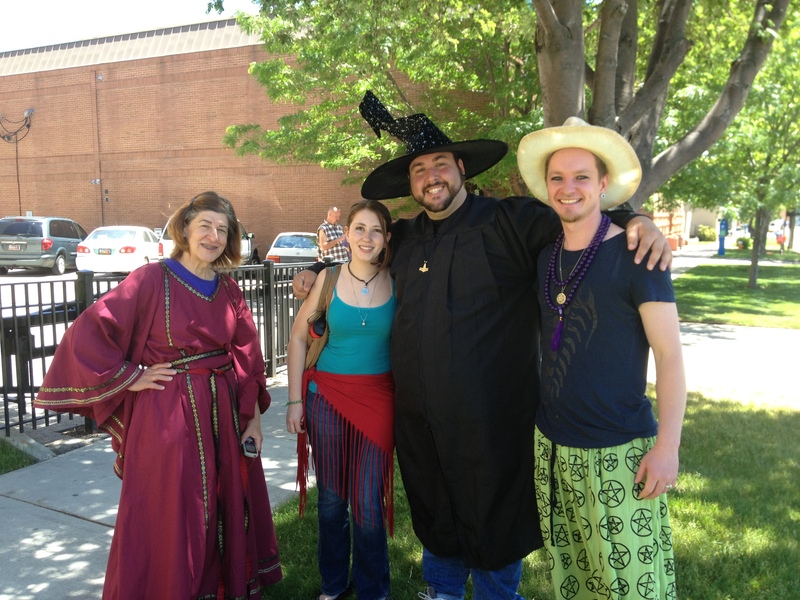 Join us for any of the events, come get spiritual at the interfaith, or receive a tarot reading! Well with everything settled down again, it’s time for reports! 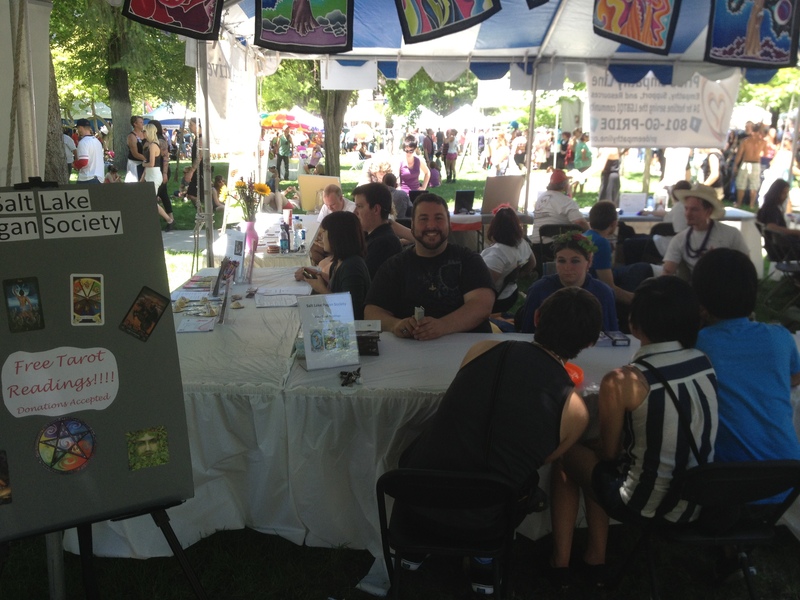 We had a successful venture at the LGBTQ Pride Festival a few weekends ago Saturday and Sunday, June 4-5, 2011. Many folks stopped by our table and signed up for the newsletter and updates. A few people paid dues and became members, took information and all together enjoyed our presence. All of the newsletters we took (About 50) we’re gone on Saturday. A few folks even felt generous enough to put a few dollars in our donations can. All in all, it was a success! So now it’s back to the old routine of full moons and holidays, but not to worry, many events and activities are coming up this summer!